Born near Liverpool in 1879, he was the son of Sir Joseph Beecham, who was the proprietor of certain well-known pharmaceutical products, including "Beecham's Pills", and hence was enabled to become a munificent patron of music. He was given a baronetcy, which his son inherited. From 1905 onwards Sir Thomas Beecham was prominent as an orchestral and opera conductor. In 1909 he founded the Beecham Opera Company, which became from 1922-29 the British National Opera Company. He introduced the Russian Ballet to London in 1911. He was a great propagandist for the music of Delius. He died in 1961, and was buried in Brookwood cemetery, but in 1991 at the request of Lady Beecham was disinterred and re-buried here at Limpsfield near the grave of Delius. Jack Brymer’s Ashes are buried in St Peter’s Churchyard, but his commemorative plaque has had to be re-cut, because of a number of mis-spellings and mistakes. One of the finest clarinettists of the his generation, he was famed for the special warmth and flexibility of his tone, and considered it essential to be a musician first and a clarinettist second, and it was his outstanding musicianship, as well as his rich sound, that made his playing so memorable. Jack Brymer was born in South Shields in 1915 on 27th January, a significant date for him, as it was also Mozart’s birthday. He first began to play on his father’s clarinet as an inquisitive 4 year-old, and went on to make his own discoveries of music and instrumental technique without formal tuition. He played in local bands and amateur orchestras with players much older than himself, and so learned his craft in the most practical way. He trained as a teacher of general subjects at Goldsmiths College, where he met Joan Richardson, a violinist and viola player, whom he married in 1939. He taught at Heath Clark School, Croydon. In 1940 he joined the RAF as a PE Instructor, and during his years of service he met many professional musicians. After the War he returned to teaching, but in July 1947 he received a telephone call from Sir Thomas Beecham, asking him to audition next day for the RPO. He was immediately appointed principal clarinettist, a post he held for 16 years. He was a founder-member of the Wigmore, the Prometheus and the London Baroque Ensembles, and taught at the Royal Academy of Music, Kneller Hall and the Guildhall. In his later years he broadened his musical activities, describing himself as a “soloist, chamber music player, teacher, orchestral player, broadcaster, quizzer, lecturer, disc jockey, jazz fan, saxophone quartet leader, transport organizer and map reader, accountant and tax gatherer for HM government”. He and his wife moved to Sycamore Court in Oxted for the last few years of his life, and he died on 16th September 2003. Frederick, or Fritz, Delius was born in 1862 in Bradford, his parents being German, though his father was actually of Dutch descent. In spite of living in America, Germany and France, he apparently never lost his noticeable Yorkshire accent. Early in life he settled in Florida as an orange grower; then he became a piano teacher in Virginia, and later studied at Leipzig, where he made his first public appearance as composer in 1888 with his “Florida Suite”. Soon afterwards he gave a programme of his own works in London, which puzzled the public and the critics alike. It was largely through the advocacy of Sir Thomas Beecham that his works were eventually accepted. From his middle thirties he spent most of his time in France at Grez-sur-Loing near Fontainebleau. He ended his life there, blind, crippled and paralysed, attended by his amanuensis, Eric Fenby. He died in 1934 and was buried at Grez-sur-Loing, but at the request of the Harrison sisters his body was disinterred and re-buried in Limpsfield in 1935. Norman René Del Mar’s connection with Limpsfield is somewhat tenuous: it seems that a relative had been christened or married in St Peter’s, but it was his - and his family’s - long-cherished wish, strongly supported by Lady Beecham, that he should be buried here among his musical colleagues. He had always been a great enthusiast promoter and conductor of English composers, and made many recordings of works by Delius, Elgar, Vaughan Williams, Britten and Tippett. He wrote books on “Conducting Elgar”, “Conducting Beethoven”, “Conducting Berlioz” and “Conducting Strauss” and “Anatomy of the Orchestra”. He was an expert Musicologist, and was responsible for editing the orchestral scores of the Enigma Variations, and correcting a number of errors. He gave frequent Master Classes on conducting. He was an avid collector of Historic Recordings, and amassed a collection of over 5000 early 78s. He was born on 31st July 1919, and died on 6th February 1994. May Harrison was the eldest of the sisters. She was born in India in 1890. At the age of 10 she won the Gold Medal of the Associated Board’s Senior Department, among 3,000 competitors of all ages, a record at the time. At 11 she gained a scholarship to the Royal College of Music. In 1908 she went to St Petersburg to study with Leopold Auer. She had made her debut in 1903 under Henry Wood, and in 1909 made her European debut in Berlin and replaced Kreisler at the Mendelssohn Festival. May was particularly noted for her playing of Bach, and used to delight Delius with her unaccompanied playing at Grez-sur-Loing. She was also well known for her playing of Handel, Brahms, Grieg, Glazunov and Bax. She took only two weeks to learn the Elgar Violin Concerto. She frequently played on Radio, and at Promenade Concerts. She taught at the Royal College of Music from 1935 to 1947, and died in 1959. Beatrice Harrison was born in 1892 in Roorke in the Himalayas, where her father was the Principal of St Thomas’s College of Sappers and Miners. She was only 3 months old when the family returned to England and Col. Harrison was appointed to Chatham. She first played the violin, but moved to the cello at the age of 8. Two years later she won the Gold Medal of the Associated Board’s Senior Department against 4,000 competitors. She went to the Royal College of Music in 1903, and made her debut at the Queen’s Hall in 1907 under Henry Wood. In 1908 the family moved to Berlin, where she studied with Hugo Becker. At the age of 17 she was the youngest player and the first cellist to win the Mendelssohn Prize. During the 1st World War she made tours in the USA and played at The White House. Delius wrote his Cello sonata and Cello Concerto for her, and she was Elgar’s preferred soloist for his Cello Concerto. Bax, Kodaly, Ireland, Scott and Quilter also wrote new works for her. From 1922 to 1936 the family rented Foyle Riding in Limpsfield, and on summer evenings Beatrice used to practice in the garden, and noticed that nightingales responded to her playing. In 1927 she persuaded the BBC to do the first outside broadcast ever made. She continued her career throughout the 2nd World War, and after the war she continued giving concerts and made tour of Holland. Her last public appearance was in 1958, when she took part in a televised concert given as part of the appeal for the new Coventry Cathedral. She retired after that, and lived quietly with her sisters Margaret and Monica until her death in 1965. Margaret Harrison, born in 1899, was the youngest of the sisters, and followed May and Beatrice to the Royal College of Music in 1904, just before her 5th birthday. She was the youngest student the college had ever taken. She went to Russia with May, and on her return to the Royal College she made her debut in the Wigmore Hall in 1918. During the 1920s she often performed as soloist, and played at the Proms on 1925. She made several recordings with her sisters, both as violinist and piano accompanist. Before the Second World War she toured many countries with Beatrice, and continued to perform with her in this country during the War and for some years after. She retired from performing after Beatrice died, but continued to take an interest in music and gave master classes. She had a life-long interest in animals, and for many years was one of the top breeders of Irish Wolfhounds, regularly supplying regimental mascots to the Guards. She was the founder the Sanctuary Kennels. Monica Harrison was born in 1897, and trained as a singer with Victor Beigel, who also taught Lauritz Melchior. She had a light mezzo-soprano voice, and made her debut in 1924. Poor health following a childhood accident prevented her from pursuing a full-time musical career, but she appeared at a few concerts and musical plays with her sisters. She was widely read and sometimes gave recitations. Monica died in 1983. Mrs. Harrison showed a matriarchal attitude to encouraging and managing her daughters’ musical careers. It was she who decided to rent Foyle Riding for many summers, and she gave Open Afternoons and other social occasions there. 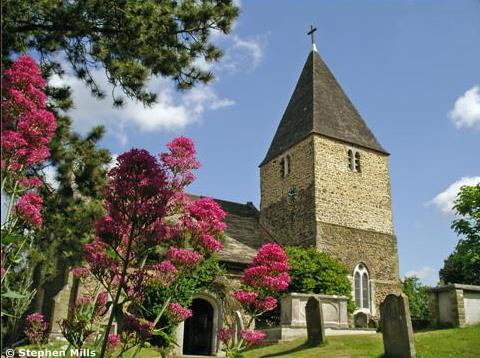 She is also the main reason for Delius being buried in Limpsfield. She claimed that she had been sitting next to Delius’s sick-bed and that Delius had asked her that he should be buried in an English country churchyard, though not even Eric Fenby knew of this. The Sisters persuaded the Rector to arrange for the re-burial. Dr Eileen Joyce was born in a tent in Tasmania, in 1912, of a Spanish mother and an Irish father, whose lack of success as an itinerant labourer and miner had prompted the move to Australia. Moving to Boulder City in Western Australia, they led a meagre existence, grateful for their new home in an iron shack. Eileen Joyce was educated at the Loreto Convent, where the nuns soon recognized her instinctive musical talent, and invited Percy Grainger, who happened to be there in 1926, to hear her. He described her as “the most transcendentally gifted child” he had ever heard. This view was confirmed by Wilhelm Backhaus, who recommended her to go to Leipzig to study with Max Pauer and Robert Teichmuller. After three years she came to London to study with Adelina de Lara, and then to Berlin to study with Artur Schnabel. Back in London she auditioned for Albert Coates, who recommended her to Henry Wood. She made her debut in 1930 playing Prokofiev’s 3rd Concerto, which created a sensation. The Gramophone Company offered her carte blanche to record anything she liked, and a steady stream of discs followed, some of which remain among the most stylish and thrilling of all virtuoso recordings. A dazzling career was under way: concert followed concert, and concerto followed concerto, often three or four in one evening. In a short time she had performed over 70 works for piano and orchestra, learning new works as often as one a week. She was famed for the agility of her playing, her fingers being likened to racehorses racing over the keys. She - or at least her hands -appeared in the film of “The Seventh Veil”, and she played Rachmaninov on the sound-track of “Brief Encounter”. She was a striking charismatic figure of arresting beauty with her flaming red hair, and became a household name, being particularly famed for changing her dress for different parts of the programme. She retired from concert life in the early 1960s, after a traumatic tour of India. She set up home in Crockham Hill, and later lived in White Hart Lodge in Limpsfield High Street. She died in 1991. Florence was the daughter of Rev. S. B. Charlesworth, who was Rector of Limpsfield 1857 - 1870. She was born on 2nd December 1862. She married Rev. Charles W. Barclay, who was the curate. For their honeymoon they understandably went to the Holy Land, but unfortunately Florence fell off a camel and hit her head, as a result of which she lost her memory. This did not, however, prevent her from having children or from writing novels. The condition lasted for some years, until one day on a family outing they went boating on the Serpentine; one of the children happened to catch a crab when he was rowing, and hit his mother on the head with the oar. This miraculously restored her memory! She died - or, as her tombstone puts it - “was called home” on 10th March 1921. She wrote altogether nine novels, as well as a collection of shorter works, romantic in character, but peppered rather oddly with frequent Biblical references. The best known is “The Rosary”, which tells the story of Jane, who is a somewhat feisty girl, who falls in love with the devastatingly handsome and eligible Garth Dalmain. As a result of a shooting accident, Garth went incurably blind, and nobly feels he cannot ask Jane to marry him now. Jane, however, decides to disguise herself as a nurse (though since he was blind, I cannot see why she bothered! ), and looked after him incognito. One day, consumed with emotion, she seeks comfort in accompanying herself as she sings her - and his - favourite song, “The Rosary”. He suddenly recognizes her singing voice, and realises what a fool he has been, and so at last they “passed to the perfect happiness of their wedded home”.